The cart and vacuum weigh just 100 pounds and take up only 4 square feet of space. 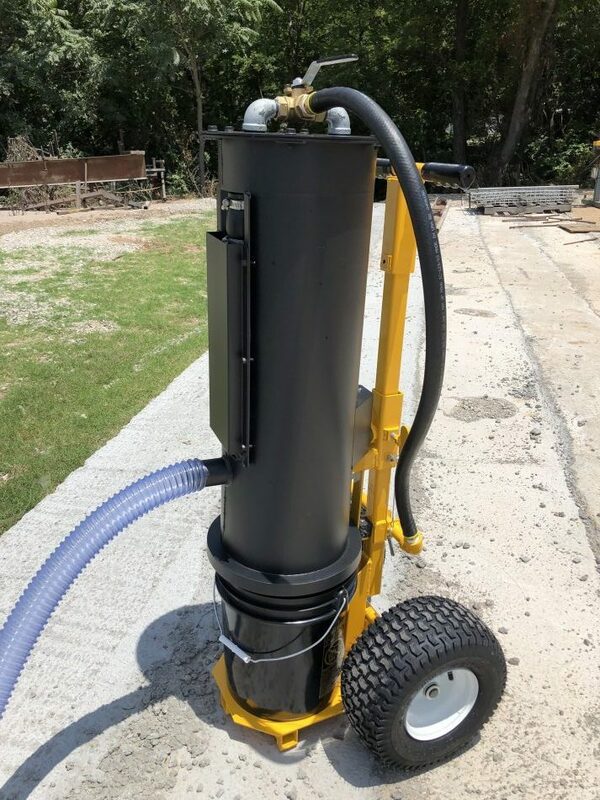 In July 2018, E-Z Drill introduced an upgraded Dust Collection Cart that’s less than half the weight of its predecessor. The cart and vacuum weigh just 100 pounds and take up only 4 square feet of space. The lighter, more streamlined cart stands 52 inches high and features a hand-truck-style design. Operators simply pivot the cart back to balance the weight over the pneumatic tires and then move easily around the jobsite. For added mobility, the dust collection cart holds the handheld drill. E-Z Drill designed the cart with 20 feet of 2-inch dust collection hose and a shroud that fits around the bit of the 20 UTL or handheld drill. This ensures the dust is collected at the point of drilling, maximizing the amount of dust the system captures and reducing operator exposure. The pneumatic Dust Collection Cart features two 600-millimeter filters to effectively trap dust particles while using just 40 cfm of air.